The cultural and creative industries (CCI) are deemed to be an emerging force to advance economic development in the world. The engagement and participation of young people in CCI is significant to their development in both economic and non-economic aspects in addition to the continual development of CCI.In 2009, CCI were defined by the government as one of the six economic areas where Hong Kong enjoyed clear advantages. 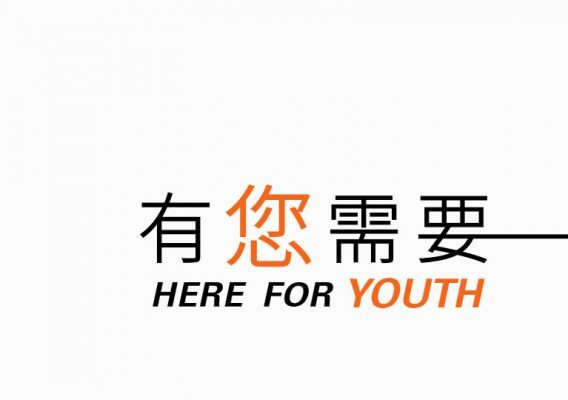 Though the government indicated that it is concerned about the development of CCI, whether Hong Kong has implemented effective policies and measures in fostering high quality talents and in creating a favourable environment to facilitate the development of CCI and youth participation in CCI is still in doubt. This study aims to investigate the strategies in facilitating youth participation in CCI. Firstly, the study reviewed the development of CCI and relevant policies in South Korea, Singapore and Taiwan, and compared these policies with those in Hong Kong. 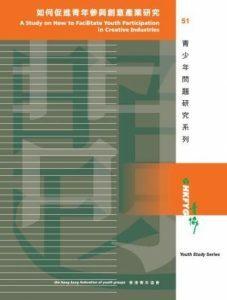 Secondly, a territory-wide youth telephone survey was designed to understand the desires of Hong Kong young people to participate in CCI and their evaluation on the performance of the relevant industries. By random sampling, 520 young people aged 18 to 34 were successfully polled, with a response rate of 51.1% and a standard error of ±2.2%. Thirdly, in-depth interviews with relevant stakeholders were conducted in order to understand the current development of CCI in Hong Kong as well as the situation of youth participation and the obstacles the stakeholders face. A total of 19 stakeholders were successfully interviewed which included 8 young practitioners and 11 experts or experienced practitioners. Young practitioners were recruited through the service units of The Hong Kong Federation of Youth Groups and snowball sampling. 1. Hong Kong young people are interested to take part in CCI, but the lack of career prospects and performing opportunities make it difficult for them to participate in CCI. 2. Young people lack confidence in the prospects of the local CCI. The overall development of the sector is not good. The main reasons are that Hong Kong fails to open up the mainland and overseas markets significantly and the local market is also limited. The government should demonstrate commitment and take action to help the sector grow and enhance its competitiveness. 3. Hong Kong lacks both an overall strategy for the development of CCI and a leading body for coordinating relevant policies. In contrast, the governments of South Korea, Singapore and Taiwan are playing an active role in promoting the industries. They have set up high-level policy-making bodies to lead on and assist in the development of the industries. 4. The government fails to generate supporting policies in response to the specific needs for the development of CCI; in particular, in response to the business problems such as the high cost of local rent and the shortage of investment funds. South Korea, Singapore and Taiwan have generated more comprehensive measures in promoting CCI, such as increasing the demand and improving the quality of CCI and facilitating investments. 5. The nurturing of talents in CCI needs to be sustainable and systematic. The professional standard of local practitioners is still elementary and mixed. CCI also need a comprehensive type of talent. The standard of the practitioners in general needs to be improved. 6. There is a lack of concern for creativity in the community, which then limits the performing opportunities of young practitioners in CCI. The art and cultural literacy and appreciation ability among youth and the general public needs to be improved so that the development of CCI will be more sustainable and energetic.